In many ways, I think we're a victim of the fact that software - and IT in general - remains a kind of magic to those who aren't specifically involved in its creation. I actually had this experience myself when I stumbled across the advert for the Graduate Programme that got me into testing three and a half years ago. Coming from an Arts background, I didn't know that software testing was a thing that people did. I admitted as much in my interview, so I think credit goes to my employers for the fact that they still hired me! The trouble is that those who don't have a technical understanding of how IT systems work assume that you can create software like you can create anything else. When you create a chair, it's pretty apparent to any observer whether or not it works as a chair. It's aesthetic or comfort value may be up for debate, but its functional one is usually apparent immediately. The fact that software systems are infinitely more complex than a chair is part of the problem, but so is the idea that as testers we don't add anything tangible to the pot. Like a carpenter who creates a wooden frame for a chair and an upholsterer who dresses it with cushioning and fabric, laymen understand that programmers contribute the physical realities of software - the code itself. 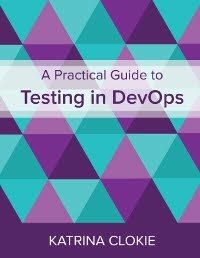 The idea that testers exist to provide information about something which is the responsibility of another breed of professionals is a concept that isn't commonly encountered in other disciplines. For what it's worth though, I think you should go back to writing "software tester" on the immigration cards. It's one small way to spread the word of our profession! In the last few years I've had to fill out those immigration forms at least a half dozen times and I ALWAYS write Software Tester! Yet I don't recall any customs official asking me what it was or what it meant to be a software tester (some part of me hopes they would so I could proudly explain it). I don't necessarily believe they /understood/ what I do or what software testing is but it is interesting (maybe sad) that I've never been questioned. As for using the term IT versus Software Testing - I guess it depends on the risk / reward scale. At this point my risk seems low so I keep doing it. Maybe I won't feel the same way if it happens at an inopportune moment. Developers write code to implement an idea. How close is the implementation to the idea? This is the answer that the testers provides answers to. Secondarily the answers can guide on the areas that one might have to spend time and money in order to bring the implementation closer to the desired result.